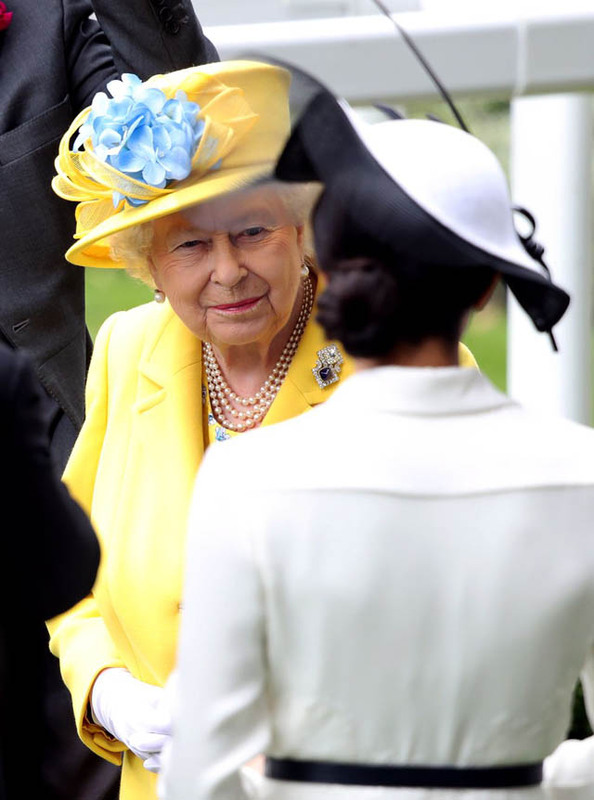 It's the Queen's favorite event of the year! 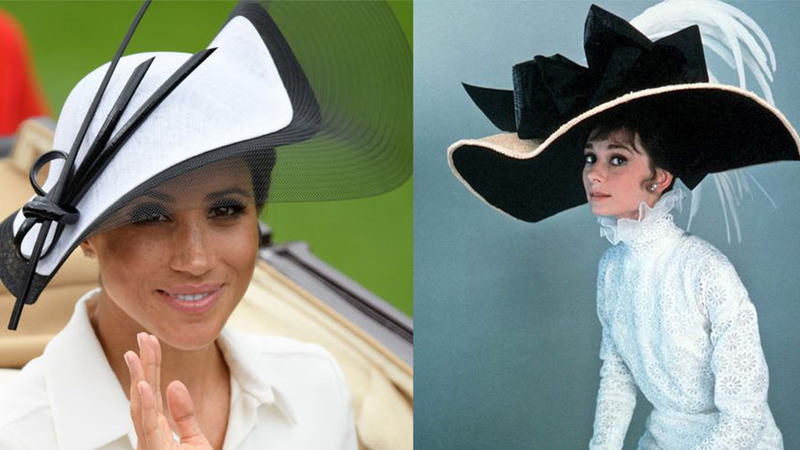 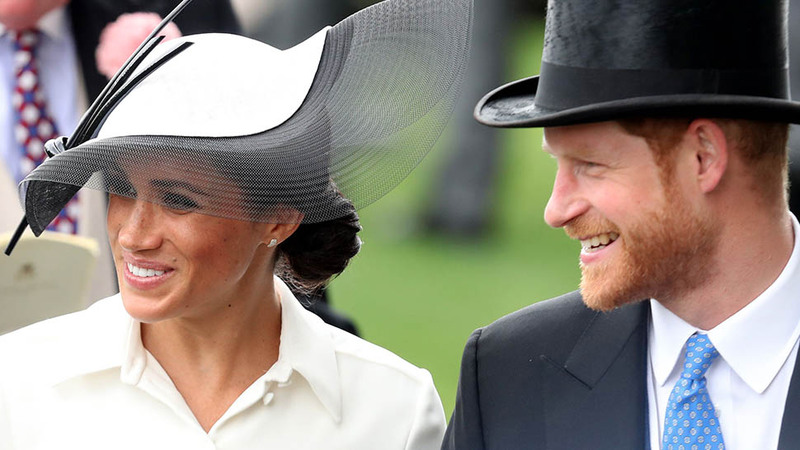 Members of the royal family, including the Duke and Duchess of Sussex, the Queen, Princess Anne, and the Earl and Countess of Wessex have arrived at the opening day of the Royal Ascot. 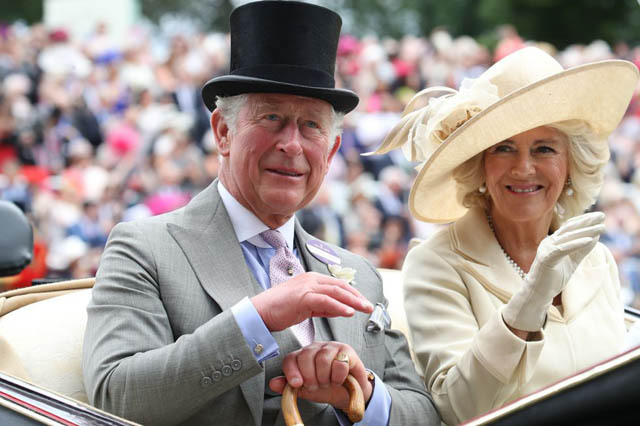 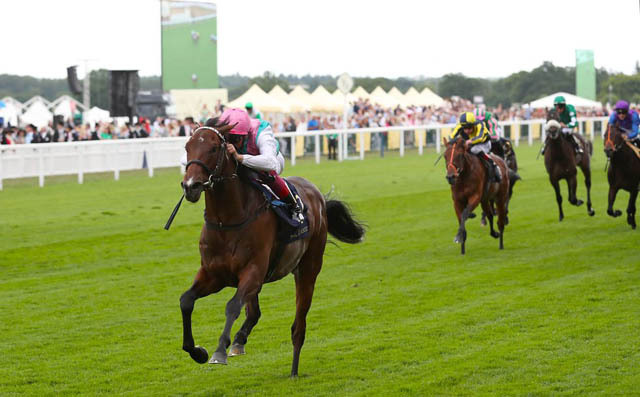 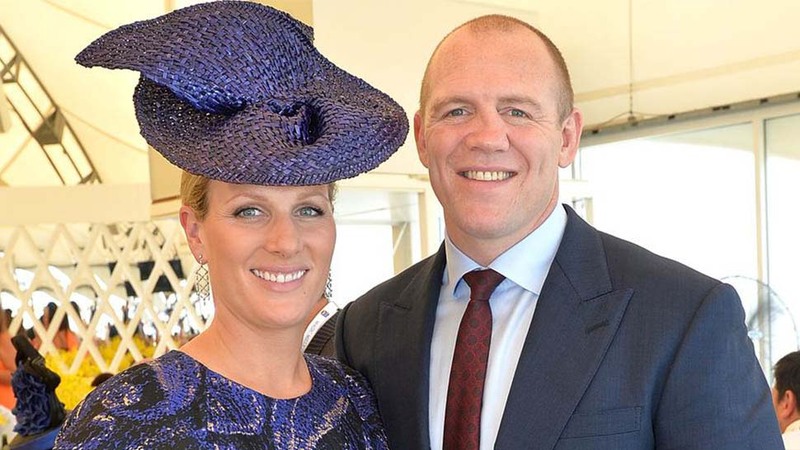 See all the best photos from today's horse racing event below. 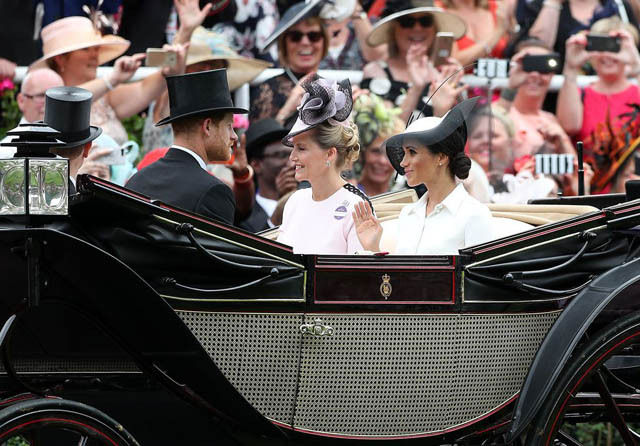 Meghan Markle just made her debut at Royal Ascot, wearing a very British-looking ensemble. 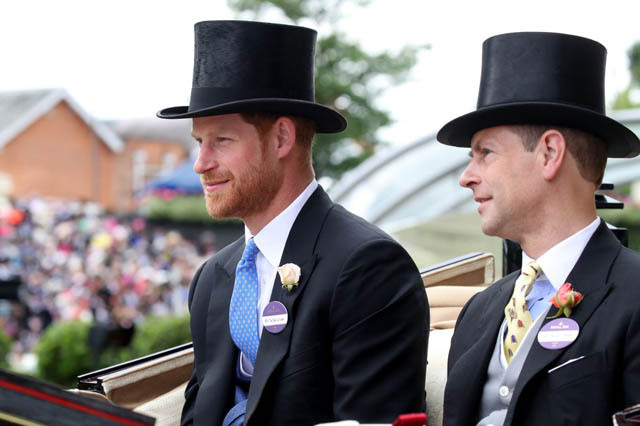 Harry and Prince Edward, arriving via carriage. 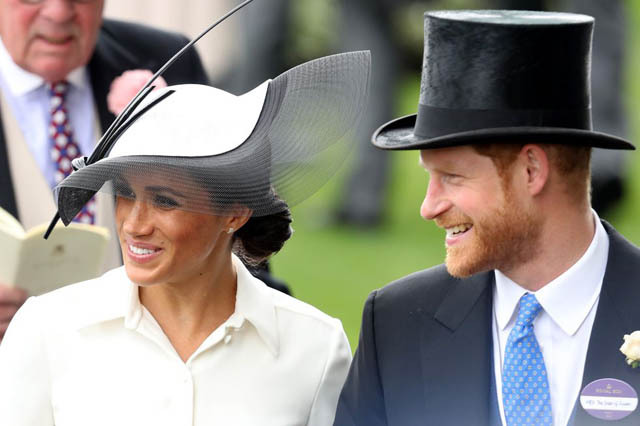 Harry and Meghan will present the winning trophy for one of the races later today. 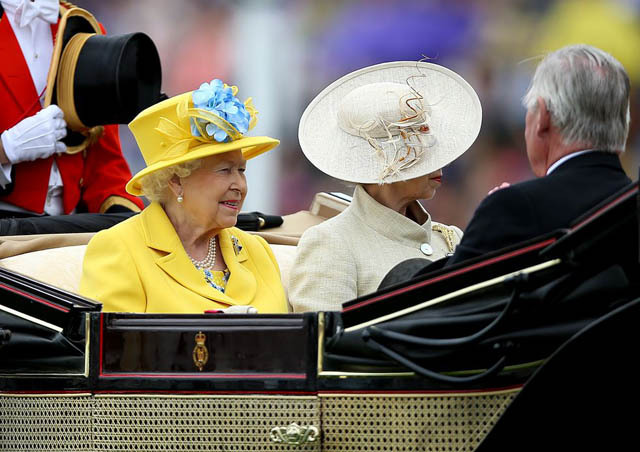 The Queen and Princess Anne arriving via carriage. 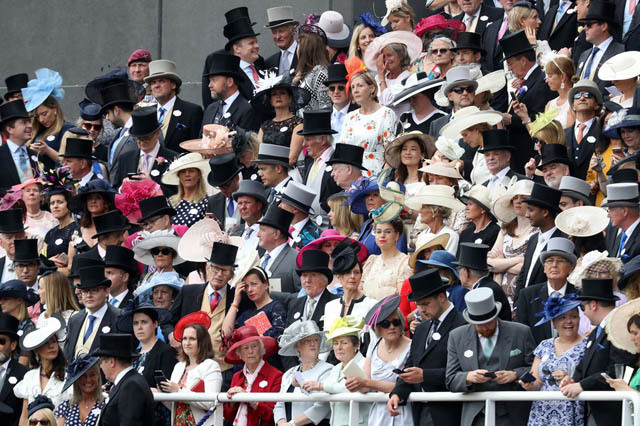 The crowd, dressed in their finest. 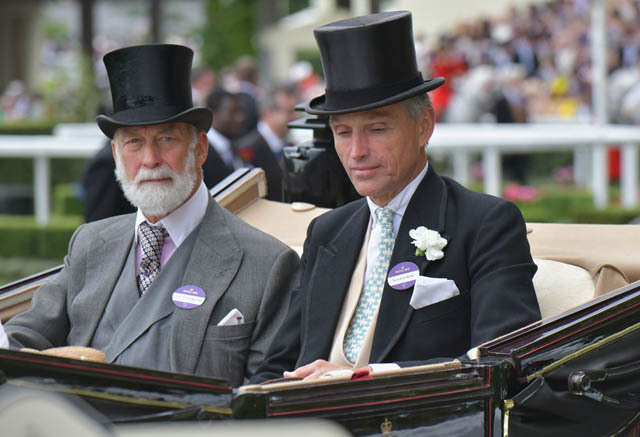 Prince Michael of Kent and Lord de Mauley arrive on day 1 of Royal Ascot. 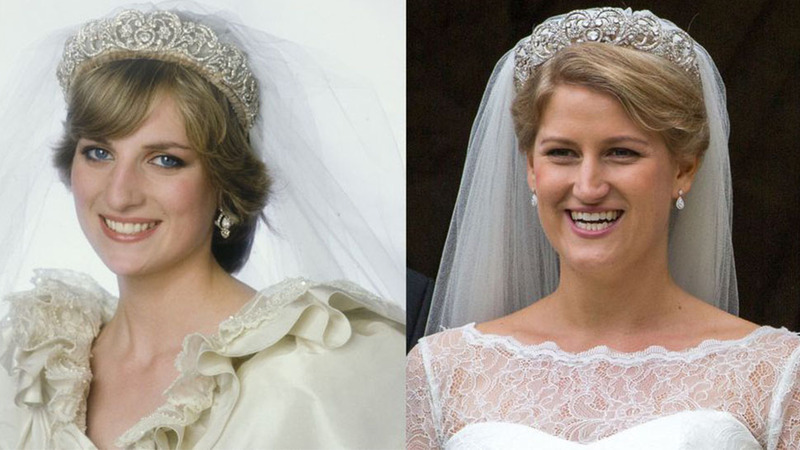 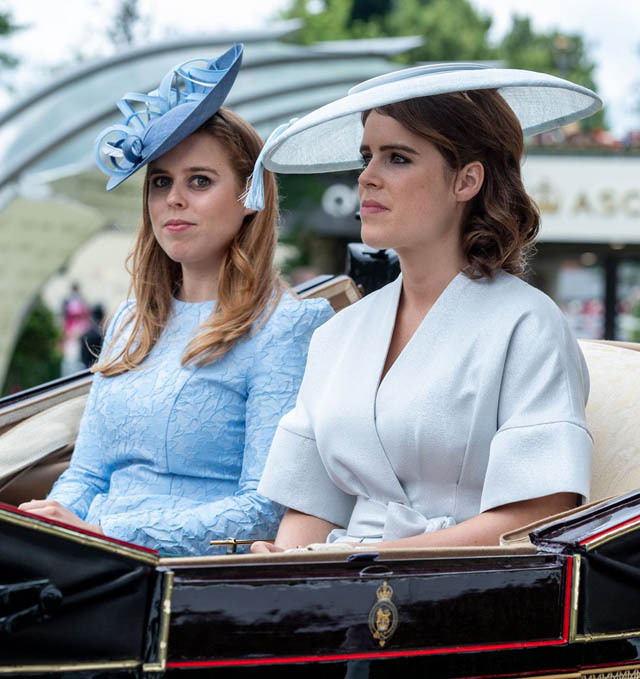 Princesses Beatrice and Eugenie shared a carriage with Charles and Camilla. 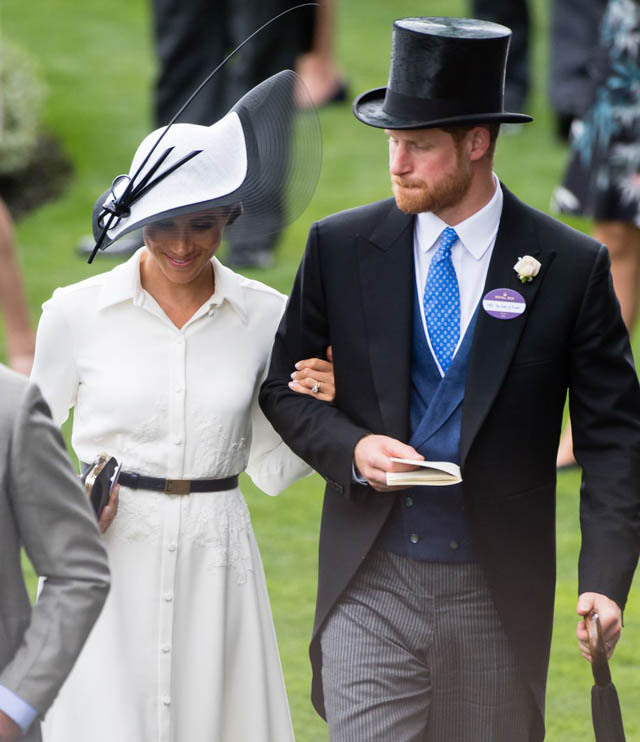 Harry and Meghan walking arm in arm. 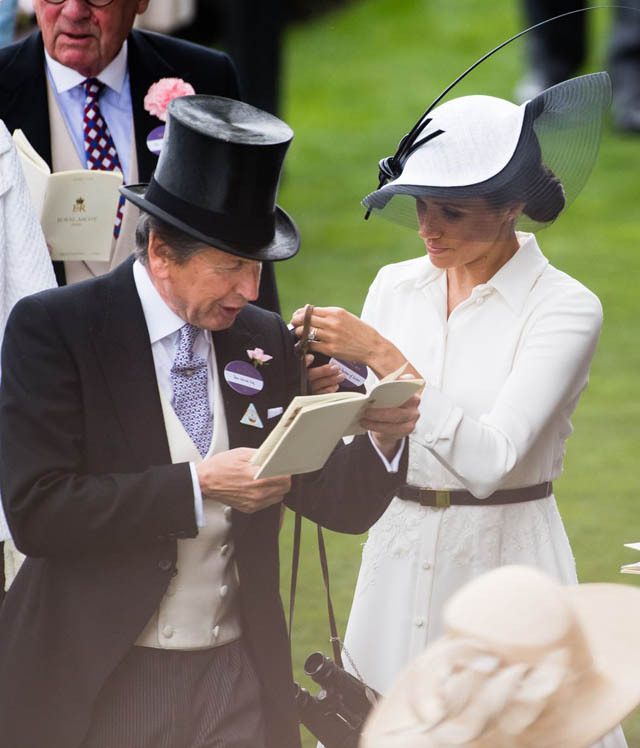 Meghan chatting with John Warren, the Queen's racing advisor. 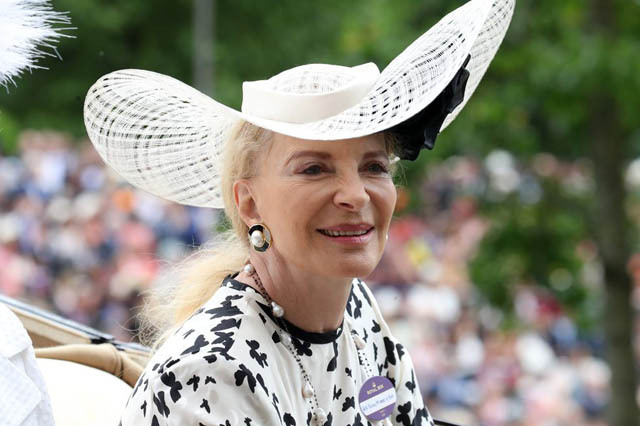 Princess Michael of Kent arriving at the races in a rather striking hat. 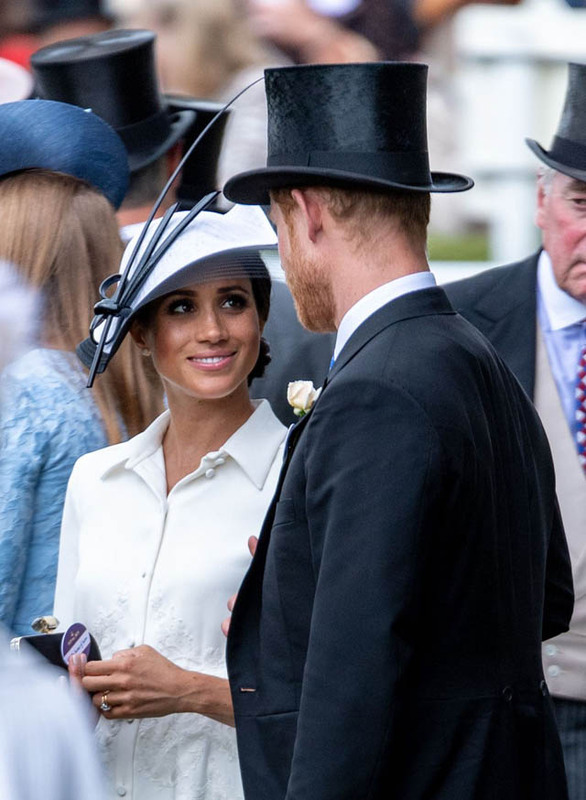 Sophie Countess of Wessex chatting with her husband, Prince Edward, and another friend. 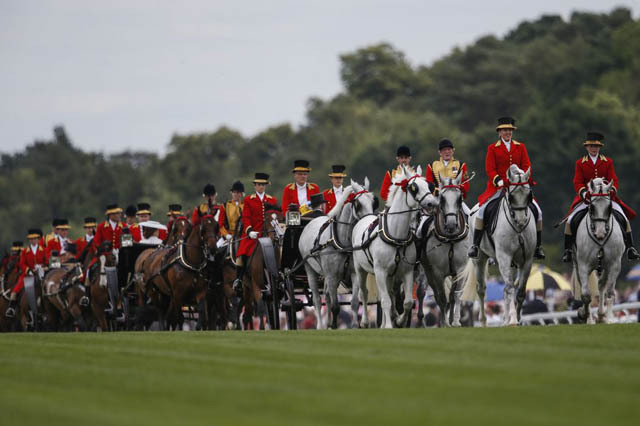 The Windsor grey heads arriving on day 1 of the Royal Ascot. 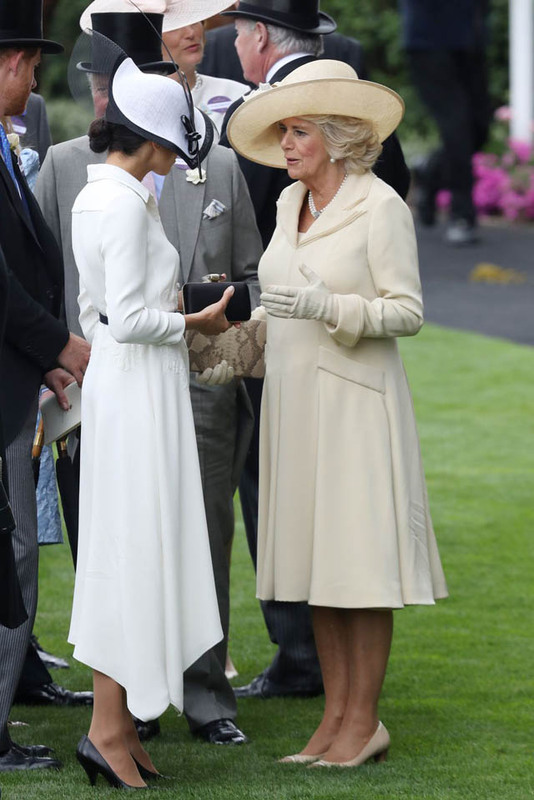 The Queen and Meghan having a casual conversation. 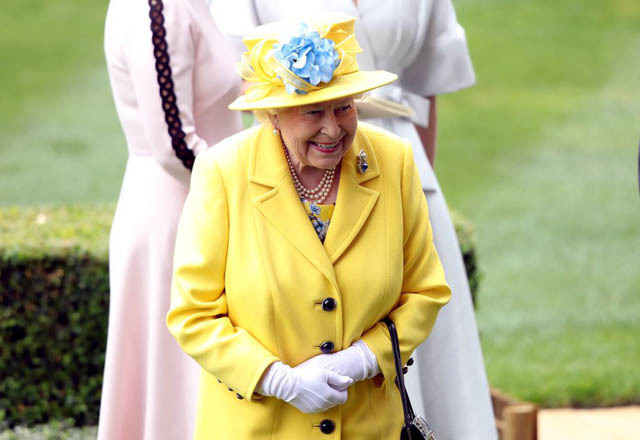 Queen Elizabeth, looking ecstatic in yellow at her favorite event of the year. 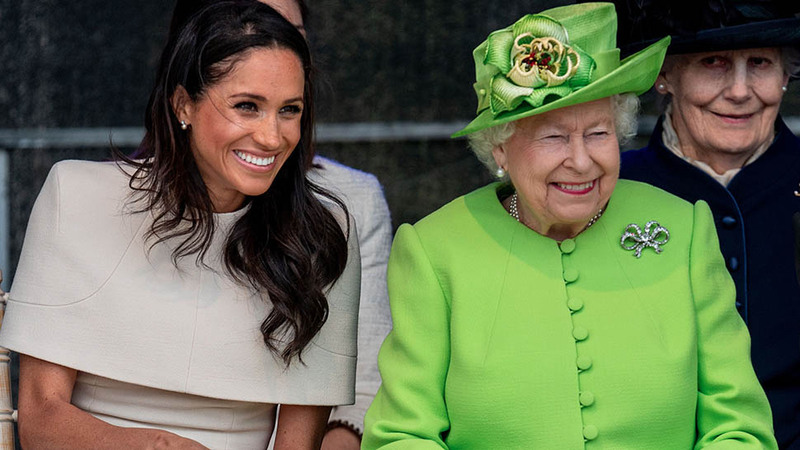 Is This Meghan Markle's Secret Nickname for the Queen?